1st Gear: Which Pedal Is Which? 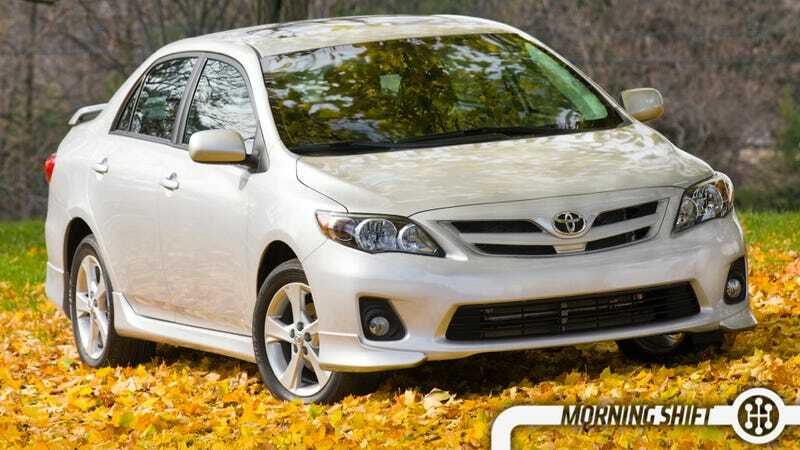 A man from Bristol, Rhode Island had brought a complaint to NHTSA about his 2010 Toyota Corolla. Specifically that it was accelerating when he didn’t want it to. Toyota has had issues with unintended acceleration in the last few years, recalling a number of cars and settling the lawsuits for $1.1 billion. But, and this is good news for Toyota, they won’t have to go through this again. After driving the 2010 Corolla in question for 2,000 miles, NHTSA found no faults that would cause unintended acceleration. They also rejected nearly every piece of evidence that Bob Ruginis, the car’s owner, submitted. His claim came from an incident where his wife was parking the car, and as she turned in, it accelerated into a Jeep next to it. He says she hit the brakes and it couldn’t hold the car. Not only did NHTSA find that the brakes weren’t hit until after the crash, but that the brakes could actually hold the car at full throttle. Evidence submitted regarding electronics was found to be invalid since it was submitted about Corollas with different ECUs than this car. So, thankfully, there was no knee jerk recall. In what has to be an unprecedented move for the auto industry, Fiat-Chrysler will pay for college tuition for 118,000 employees at dealerships in the USA. The aim is to foster a good relationship with the workers and decrease turnover. It’s not like the employees can go to any college in the country, though. The free tuition will only be valid at Strayer University for full or part time employees that have been at the dealer for a minimum of 30 days. Forbes says the initial rollout will happen to 356 dealers in Florida, Georgia, South Carolina, North Carolina, Alabama, and Tennessee today, with the rest of its 2,400 dealers getting the program later this year. With the growth of Mercedes in the USA, and an upcoming possibility of selling 400,000 cars in the US, MBUSA’s CEO Steve Cannon has said that dealers need to expand their service offerings to accommodate all of these new buyers. Specifically, they can build more room for service or they can add more hours to help more customers that have just bought a Mercedes. Mercedes is also going to separate AMG from Mercedes and Maybach by making in-dealer stores for the performance brand. They’ll have specially trained salesmen in the AMG stores that can speak to the merits of the brand. The in-dealer stores will only be in markets that move a ton of AMG vehicles. They’ll show off an example at the upcoming dealer meeting in Las Vegas. The 2016 Chevy Volt will cost $33,995 without any tax incentives. The current model retails for $35,170. Of course, that price will be reduced by $7,500 with federal tax credits, and any other local credits could push it even lower. That means you’re getting a Volt for $26,500. Not a bad deal. Audi is trying really hard to catch up with BMW. How they’re doing it is by expanding, developing more models, and reinvesting in technology. That sounds all well and good, but it’s also reducing their profit margins. They went from 10.1 percent a year ago to 9.7 percent this year. Their target is to be between eight and ten percent, so this isn’t a dramatic fall, but it could continue if they don’t start to catch up to BMW quicker. While Mercedes had a huge gain from seven percent to 9.2 percent, Audi focused on expansion in order to surpass BMW. We’ll see how it works out. On this day in 1984, New Jersey rocker Bruce Springsteen releases “Pink Cadillac” as a B-side to “Dancing in the Dark,” which will become the first and biggest hit single off “Born in the U.S.A.,” the best-selling album of his career. How can we make drivers learn what is unintended acceleration and which pedal is which?